Rabbi at Beth El Synagogue in Omaha, NE. 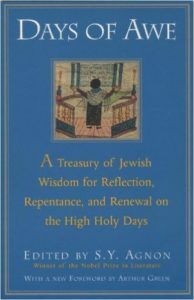 My Jewish Learning is a great site to learn about the holy days as well as other customs and rituals. G-dcast has put together amazing videos, from the weekly parsha to understanding the High Holy Days. The videos are geared for middle school student, but are valuable to students and adults. Rosh Hashanah Haggadah put together by the Schusterman Family Foundation. It includes explanations about the traditions, the various blessings and wishes to be said, as well as additional ideas and suggestions. You may remember me as Morah Maya. My husband Alexander, out little dog Kliopa, and I are currently not in the states since the time my husband needed a different type of care. However, as I read every bit of information I receive from Beth El, it encourages us to live our lives as Jews as well as to keep our perspective real even though we do not have the luxury of a decent Internet connection, as we say in Yiddish, a fash-tun-ke-ne Internet. This coming Rosh Hashanah I strongly feel to say hello to all the people I care about, all the students and adults; people I taught, talked to, met and chatted, and maybe even helped… somehow. Please convey this simple message of Peace, Health, Gratitude, Admiration, and Hope from all the Jewish people in Shanghai and our family. Steven Abraham currently serves as the Rabbi at Beth El Synagogue in Omaha, NE.